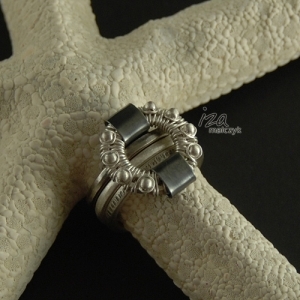 The ring is 6.3US size (13EU size, ca 17mm in diameter). The circle is 17mm in diameter. The dark grey colour will wear off with time to lighter grey.